Here are some of our favourite Thanksgiving/Winter vegetable recipes. All really tasty, vegan, mostly gluten-free. Enjoy! This is a really simple yet tasty recipe. 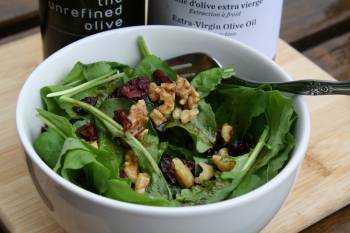 Just put arugula topped with dried cranberries and chopped walnuts in a bowl and drizzle a little Balsamic Vinaigrette on top and voilà! This is the dressed-down version but it’s also great with any combo of grated carrots, grated rabioles, apples, pomegrenate, avocadoes, or fresh raspberries. Delicious and complex flavors with a velvety texture. Perfect for those cold Fall/winter days. 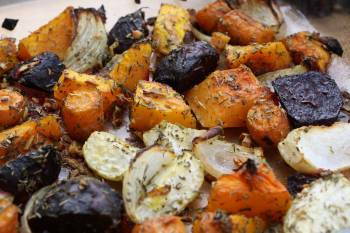 If you’re looking for another recipe using almost all the same ingredients- check out my oven roasted root vegetables medley. This is a quick and perfect side dish for Thanksgiving dinner. 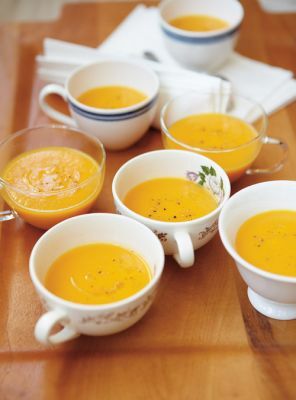 It is also great, of course, served on any cool Fall/Winter day. 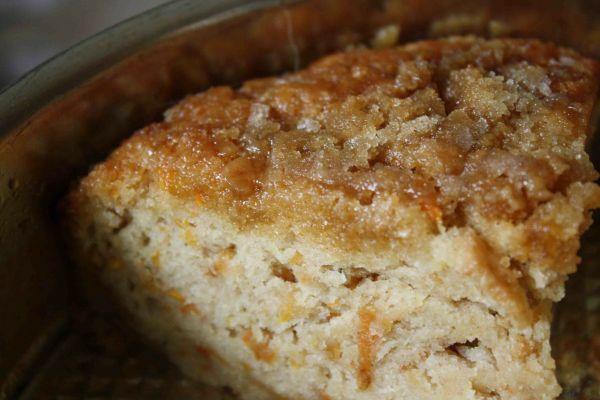 No one could ever guess that this moist cake is vegan! Kids love it and I like to serve it with a sugar toping instead of the traditional carrot cake icing.